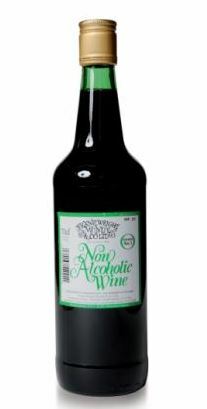 Single bottle of Frank Wright and Mundy Non-Alcoholic Communion Wine 70cl. A blend of the juices of some of the finest grapes in the world. It has a full red colour and rich flavour. Frank Wright Mundy have a long and proud history of producing the finest quality non-alcoholic communion wines. Founded in 1858, our original unfermented wines have been supplied continuously ever since and have earned an international reputation for their purity. The wine is entirely free from alcohol and undiluted, Fruit of the Vine (Luke 22v17), and still made to the original formulae. Frank Wright and Mundy Non-Alcoholic Communion Wine by Frank Wright and Mundy is published by Charles Farris and is our 333rd best seller. 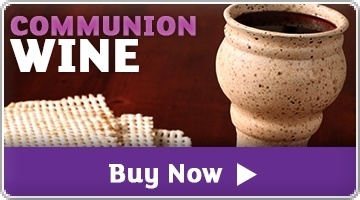 The ISBN for Frank Wright and Mundy Non-Alcoholic Communion Wine is AW-20. Good product and fast delivery. Good service overall. I have used this site more than once and continue to do so. Got a question? No problem! Just click here to ask us about Frank Wright and Mundy Non-Alcoholic Communion Wine. Does this wine have an expiry date? A:This wine does have an expiry date on the bottle. We have found that our stocks usually have expiry dates about 18 months ahead of dispatch time. Does this bottle contain red or white wine? A:This non-alcoholic Communion wine is red. How long does this wine last for? A:If refrigerated and tightly sealed, this non-alcoholic Communion wine can last upto 3 weeks after opening. Ingredients: Water,Red grape concentrate,sugar,citric acid. Preservatives e211,E223 muscatel flavour. Freedom from any traces of allergic response inducing substances can't be guaranteed.